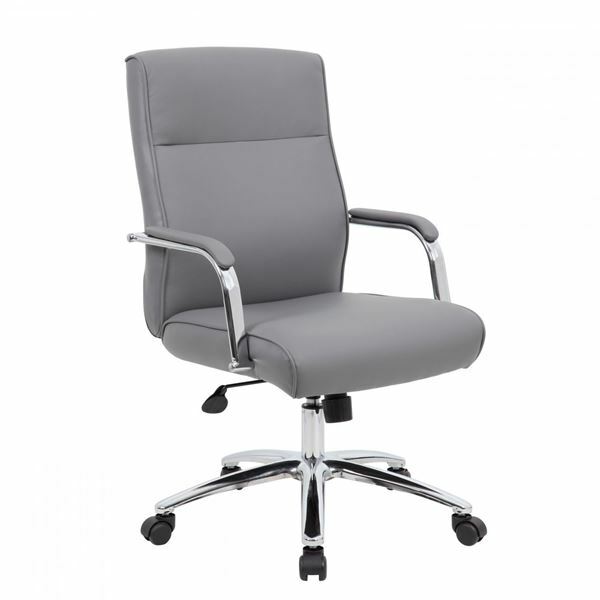 Grey Modern Executive Chair by Boss / Presidential Seating. Features modern look with exceptional comfort. Gas lift with swivel tilt and tension control. Meets BIFMA standards for commercial office use.